At The Woodlands United Methodist Church, we believe in serving Christ and serving people in our church and in our everyday life. While we started as a small congregation in 1978, we have grown into a church whose members worship across 11 live worship services in three unique worship styles every weekend. Our mission is to win people to Jesus Christ, disciple them in faith and help those in need, and it’s a mission our members know well. We aren’t just a Sunday morning church. We have dynamic programs and ministries taking place at our campus all through the week. Along with active ministries for families, we also run an accredited pre-K through 8th grade private school. We believe in being the hands and feet of Christ through our dedicated missions ministries that serve the local community as well as the larger world beyond. The Woodlands United Methodist Church started in 1978 with a phone call from a bishop to a recent seminary graduate named Ed Robb. Much to his surprise, the bishop asked a young Ed Robb to come to this remote community north of Houston and start a church. After the first year, the church had 160 members on the church rolls. By September of 1980 the church finally moved into its first building phase, working on a 10,000 square foot construction project on East Panther Creek Drive. After five previous building projects, the final sanctuary was built in 1992, but the church continued to grow. After selling their property to Trinity Episcopal, The Woodlands UMC moved to its current property on Lake Woodlands Drive. 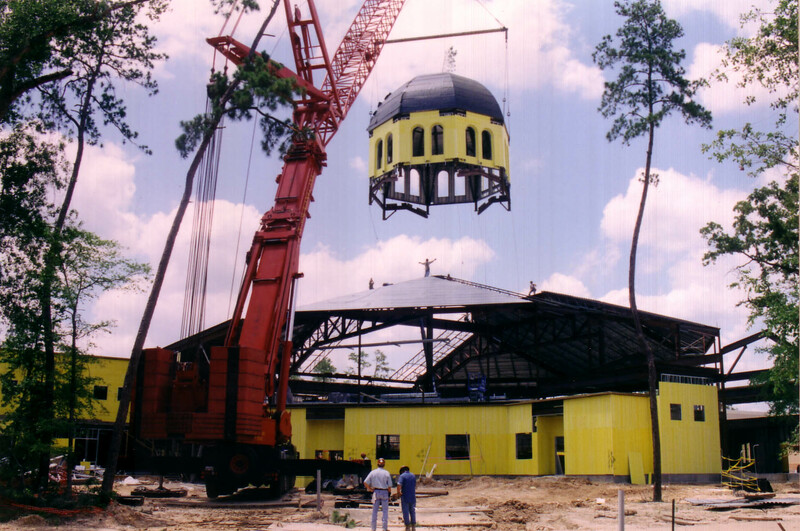 Over the years since the move, the current campus has grown by leaps and bounds with the additions of the Harvest Worship Center, expanded facilities for The Loft and a Family Life Center, the home of The Woodlands Methodist School. As a church with a missional focus for reaching out beyond their own walls, the leadership began to feel a calling to plant another campus of The Woodlands UMC in the Houston area. After a time of prayer and discussion, they decided to add a second campus in the new and growing Woodforest community calling it The Church at Woodforest. The Woodforest Campus of The Woodlands UMC started in 2016 in Stewart Elementary School. Their dynamic growth has exceeded expectations, and their first building will be completed in 2019. While The Woodlands UMC continues to experience vibrant growth, the church strives to provide a sense of home and belonging to its faith-filled members and to reach out to bring the love of Christ to the community and to the world.